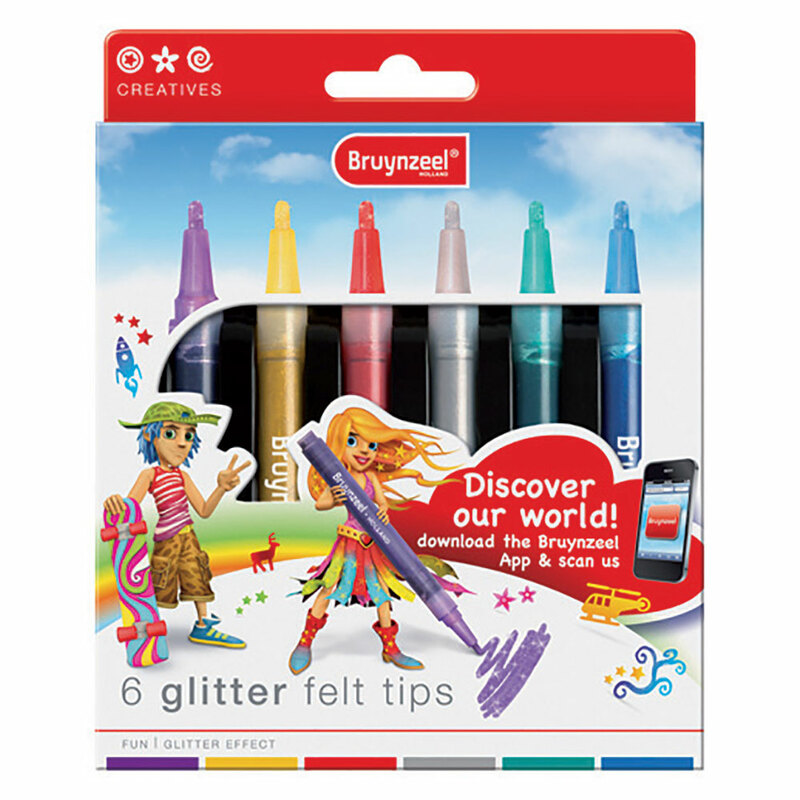 This set contains 6 Buynzeel Glitter Felt Tiip pens that sparkle with a lovely glitter effect. It is recommened that these pens are shaken before use and that the tip is pressed once to get the colour flowing. Do not pump the tip! Make sure to store these pens horizontally and protect any clothing and furniture against stains. Have fun colouring!